The laws of each state establish the requirements for creating an irrevocable family trust as well as the specific rights of beneficiaries of a trust of this type. Despite some minor variations, the rights of beneficiaries of these types of trusts largely are the same no matter where you live. What Is an Irrevocable Spendthrift Trust? As established by the terms and conditions of the trust agreement, a beneficiary is entitled to the payment of proceeds generated by the property held in the trust, according to "The Complete Book of Trusts" by Martin M. Shenkman. For example, if the trust includes stock that pays a dividend, those proceeds are paid to the beneficiary according to the terms of the trust agreement. Alternatively, the trust agreement may call for the payment of a specific sum of money to the beneficiary at particular points in time. Another right of a beneficiary of an irrevocable family trust is to obtain full and comprehensive accountings of property held in the trust as well as of all income generated and expenditures made through the trust, according to "The Complete Book of Trusts." These accountings take the form of regularly scheduled events as well as special accountings at the request of a beneficiary herself. The beneficiary of an irrevocable family trust possesses the right to seek replacement of the trustee in certain circumstances. For example, if the beneficiary believes that the trustee is not acting in the best interests of the trust, and in the beneficiary&#039;s best interests, she can seek replacement of the trustee. Court intervention can be necessary to remove a trustee if that individual refuses to resign voluntarily at the request, or demand, of the beneficiary. The term "irrevocable" is a bit misleading inasmuch as it refers to the ability of the creator of the trust to terminate it. The person who creates an irrevocable family trust--the grantor--in the first instance lacks the legal ability to end the trust on his own. 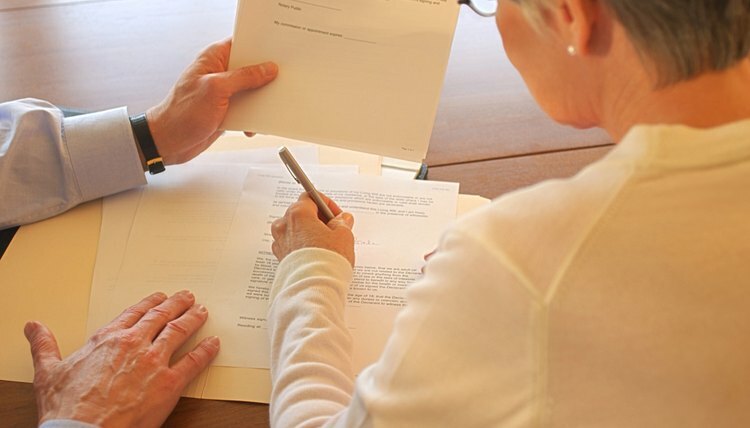 However, a beneficiary can seek to terminate the trust and, and can also agree to a request from the grantor to terminate the trust, according to InvestorWords.com. Broemmel, Mike. "Rights of the Beneficiary of an Irrevocable Family Trust." , https://legalbeagle.com/164004-rights-of-the-beneficiary-of-an-irrevocable-family-trust.html. 13 June 2017.